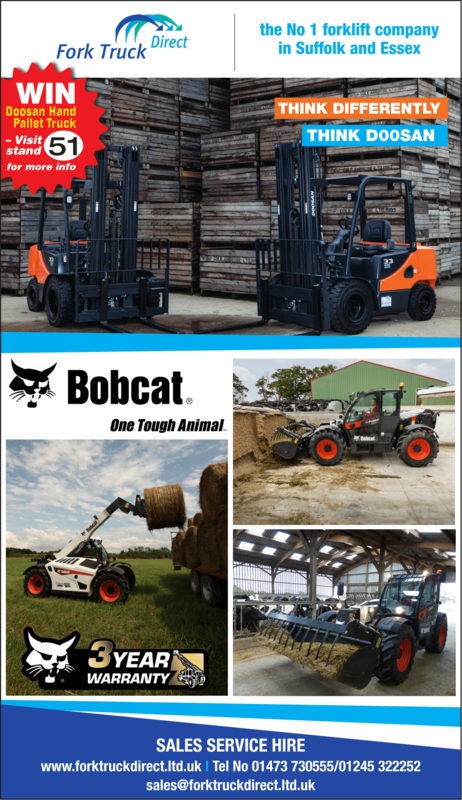 Fork Truck Hire and Sales in Essex and Suffolk Meet Fork Truck Direct at the 2018 Suffolk Show on 30th & 31st May ! Meet us at the 2018 Suffolk Show on 30th & 31st May ! We are very excited to be at the 2018 Suffolk Show on 30th & 31st May. Come and see us on Stand 51, we have refreshments available and a selection of our best selling products to show you and if you enter our free prize draw you can win a Doosan 2500kg hand pallet truck! Gates open at 7.00am and close at 5.30pm both days, see you there.